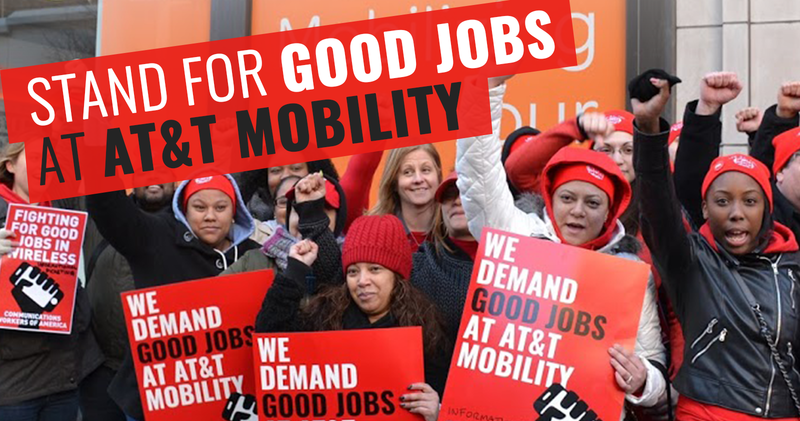 More than 21,000 people who work for AT&T Wireless are standing up to powerful corporate interests to demand good jobs and a better future for us all. They are joining together to negotiate a fair contract and pushing back against AT&T’s demands to do more work for less. 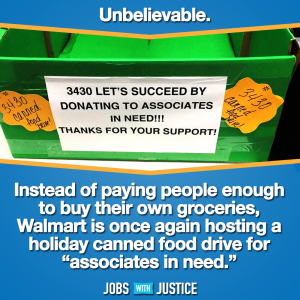 They’re also prepared to do whatever it takes to stick their necks out to save family-sustaining jobs and sustain their communities, including going on strike. Join with them and send a message to CEO Randall Stephenson that customers and the public will stand with the working people of AT&T for as long as it takes. Add your name to our petition today! The pressure to stop Trump’s billionaire nominee for Secretary of Education from being confirmed is working. Two Republican senators, Susan Collins (Maine) and Lisa Murkowski (Alaska), just announced that they will oppose Betsy DeVos’ confirmation. That means that we’re just ONE vote short from blocking DeVos’ confirmation altogether. We need to keep up the pressure more than ever to sway one more senator to vote against DeVos. There’s no time to waste. The full Senate will take a final vote on DeVos on Tuesday. If you live in Arizona, Kansas, Ohio, Nebraska, Nevada, Pennsylvania or West Virginia –your senator is undecided. Please make a call ASAP to their office to encourage them to #DumpDeVos. Call 1-855-882-6229 to get connected to your senator’s Washington, D.C. office or check below for district office phone numbers for your senator. Hi, my name is (NAME). As a concerned constituent from (YOUR STATE), I urge the senator to oppose Secretary of Education nominee Betsy DeVos. Her confirmation hearing proved that she lacks both the experience and qualifications to lead the Department of Education. She should not be put in charge of students and our schools. She has zero experience with public education, and spent millions dismantling and defunding public schools. Students deserve better. We need a Secretary of Education who will help to improve success for all students, including creating more opportunities and equity for all. Thanks for taking my call. 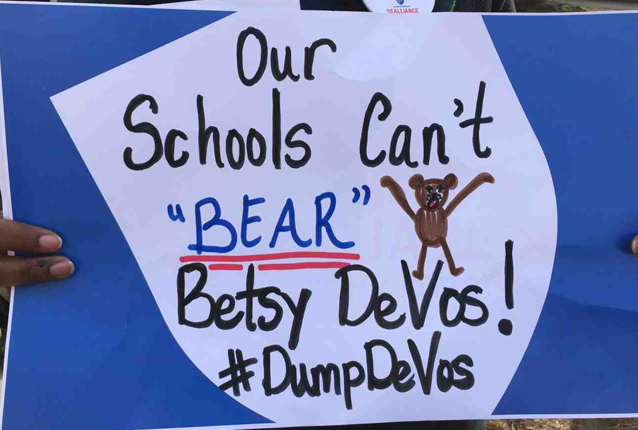 DeVos, a billionaire lobbyist, and political donor, has zero experience with public schools – not as an educator, a school board member, a student, or even as a parent – and has spent her career defunding and dismantling public education. DeVos bankrolled and lobbied for failed schemes like voucher programs, which take money away from public schools to fund private schools at taxpayers’ expense, and with little to no accountability. She designed Detroit’s failed charter school program, which harmed already vulnerable students. DeVos even lacks experience in higher education and holds controversial positions on students with disabilities and student loans. If you agree we need an experienced, highly qualified Secretary of Education who actually wants to improve success for ALL students and invest in public schools, raise your voice with us now! T-Mobile needs to learn a lesson. Less than three years ago, the telecommunications giant saddled millions of customers with unwanted charges resulting in a $90 million settlement with the government. 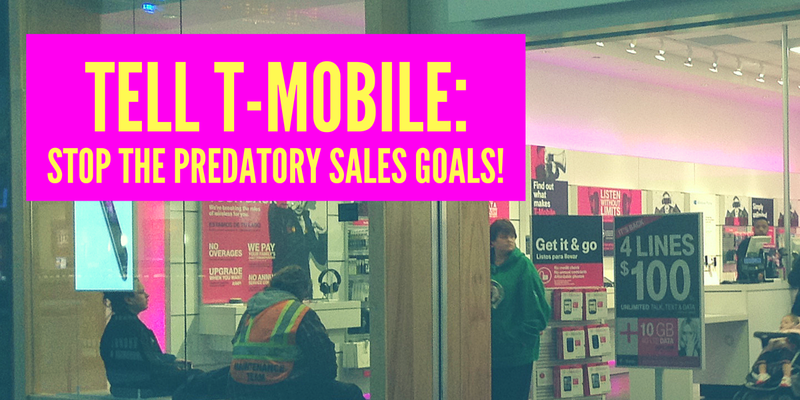 Now, T-Mobile sales and customer service representatives say they’re under tremendous stress to meet unrealistic performance goals, forcing them to make sales at any cost, or risk retaliation in the form of reduced hours, pay cuts or job loss. A new report finds that T-Mobile’s demands leads to some staff enrolling unknowing customers with bogus charges and unwanted services. Enough is enough. Sign our petition urging CEO John Legere to drop the high-pressure sales and finally do right by the working people of T-Mobile and their customers. People who work for McDonald’s say they’ve had to put up with groping, lewd comments and offers of cash in exchange for sexual favors and the company has looked the other way. 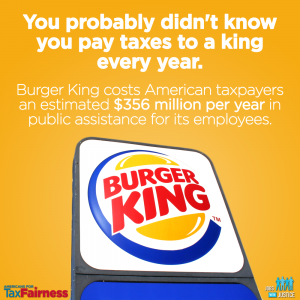 But McDonald’s has the power to crack down on sexual harassment at its stores. 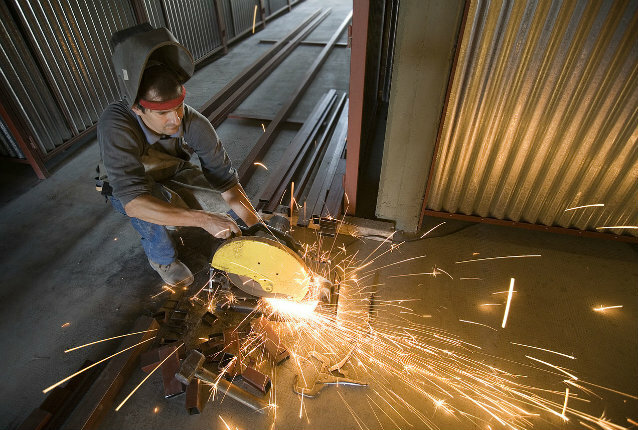 It can increase punishment for offenders and make reporting easier for targeted employees. Instead, it keeps silent. Worse, McDonald’s employees say management at the fast-food giant has retaliated against the people brave enough to come forward and reach out for help. No one should be subjected to sexual harassment – especially at work. 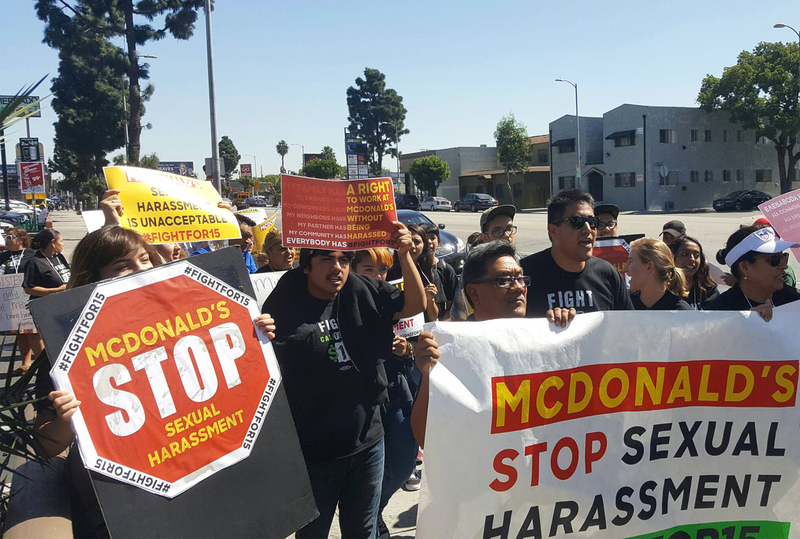 Sign the petition to demand McDonald’s put a stop to sexual harassment. Right now, the fate of the Trans-Pacific Partnership (TPP) is ours to shape. The Obama administration and corporate supporters of the trade agreement are gearing up to force the TPP through in a lame-duck session of Congress after the election. That’s why dozens of organizations are working together to make Wednesday, September 14 a nationwide TPP Call-In Day — to push more of our representatives in Congress to oppose the TPP before the election. On Wednesday, join us by calling 1-888-659-7351. After you’re connected to your representative’s office, tell whoever answers that you are opposed to the Trans-Pacific Partnership. — Hi there, my name is [NAME] and as a [STATE] resident, I am calling to urge you to vote against the Trans-Pacific Partnership. — I urge you to stand up to this corporate power grab and vote NO on the Trans-Pacific Partnership. It’s crucial that our Members of Congress hear from us loud and clear that they must oppose TPP during the lame duck session. Call 1-888-659-7351! 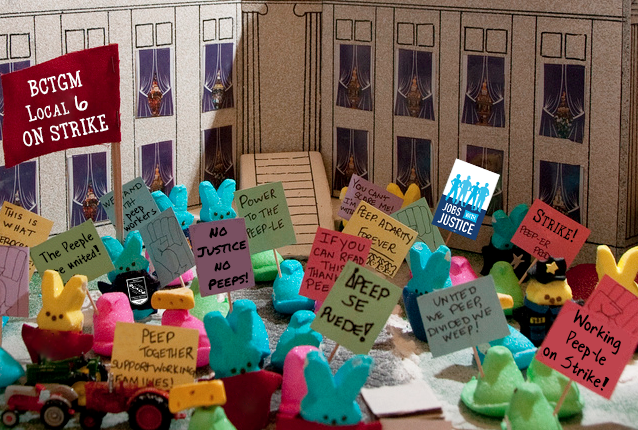 No Justice, No Peeps: Support Striking Peeps Employees! Four hundred people who make beloved, iconic marshmallow Peeps and other candies in Bethlehem, Pa., made the hard decision to go out on strike on September 7. 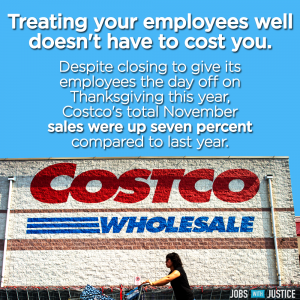 Despite soaring profits, the corporation they work for–Just Born Inc.–wants to bully them into agreeing to eliminate their hard-earned pension plan and make other life-altering cuts to their health care and benefits. They’re drawing a line in the sand over corporate greed – will you join them? Sign the petition today! Working people at Taylor Farms who chop tomatoes and peppers in California for Chipotle have had enough. Taylor Farms has illegally fired, spied on, threatened and retaliated against the men and women at its Tracy, California plant for joining together and earning a safe and fair return on their work. Four chemical spills at the Taylor plant since October have sent more than 20 people, including two pregnant employees, to the hospital. 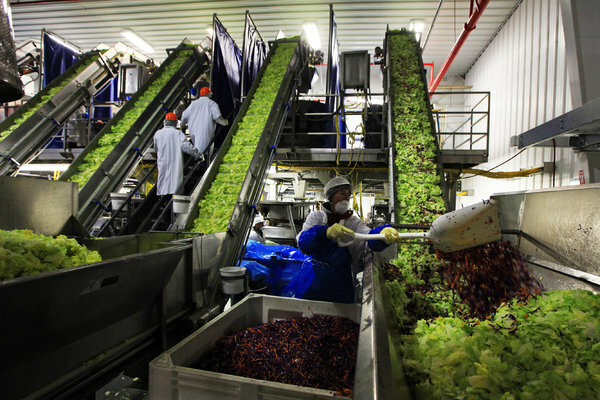 Taylor Farms has been charged with 70 citations by the California Occupational Safety and Health Agency in the last year, and the National Labor Relations Board has prosecuted the corporation and its temp agencies for more than 50 violations of labor law. In spite of the “food with integrity” pledge Chipotle commits to on its website, the burrito giant is ignoring, rather than condemning the unsafe and unjust conditions at Taylor Farms. Urge Chipotle to live up to its principles and do the right thing: Tell Taylor to clean up its act or else drop them as a supplier. Stand with Striking Trump Taj Mahal Employees! 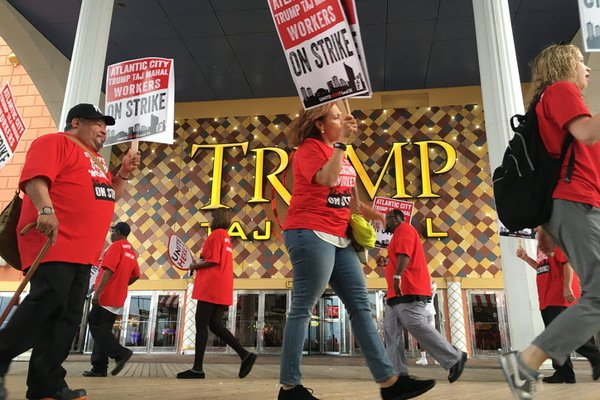 Nearly 1,000 working people at the Trump Taj Mahal in Atlantic City made the hard decision to go on strike on July 1. They’re striking to create a better workplace for everyone working in casinos. After surviving Donald Trump’s bankruptcies, the staff at the casino were dealt a bad deal – 35 percent cuts in pay and benefits when Trump’s billionaire buddy Carl Icahn took over the casino. Despite working for a billionaire, half of the staff at the Trump Taj Mahal are forced to rely on subsidized health insurance; and some even need food stamps to make ends meet. They’re drawing a line in the sand over corporate greed – will you join them? 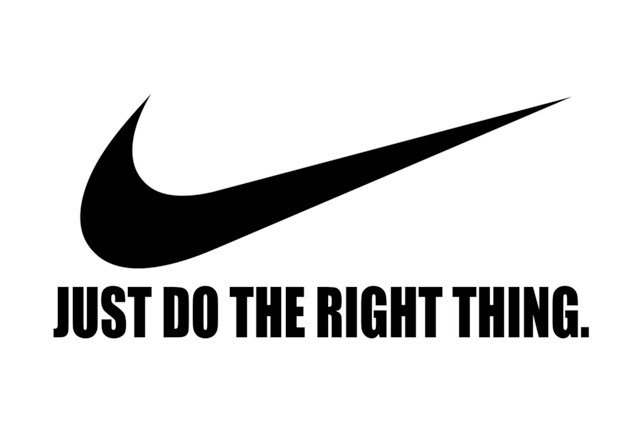 Nike recently announced it would no longer allow its factories to be inspected by independent monitors from the Worker Rights Consortium, instead insisting it would only allow inspections by an organization notorious for whitewashing sweatshop abuses – an organization funded by the very same companies it claims to monitor. As the largest athletic clothing manufacturer in the world, Nike sets a standard that is followed by many other apparel companies. That’s why it’s so important we don’t let Nike get away with doing the wrong thing. Help us ensure more companies don’t shirk their responsibility to the men and women who work in their factories! 39,000 men and women walked off their jobs at Verizon and Verizon Wireless more than two weeks ago. Even though Verizon made billions of dollars in profit last year, executives are demanding life-altering sacrifices from the people whose hard work makes the company run. But this fight is bigger than Verizon. It’s about doing whatever it takes to create a fair return on work, instead of just standing by as a handful of individuals get richer and richer. It’s about holding the line for work that sustain families in our communities, instead of forcing working people to relocate or sending jobs overseas. 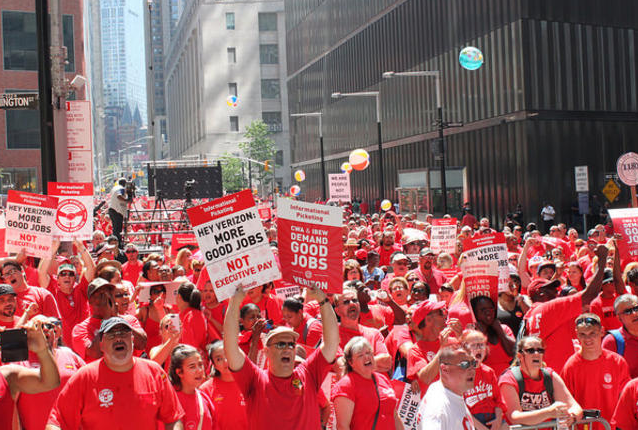 The people on strike at Verizon will be walking the picket lines outside of work locations, including Verizon Wireless stores. Empty stores send a powerful message to Verizon and other large corporations that enough is enough. Stand with them. Sign our pledge to let them know that you won’t cross the picket line.